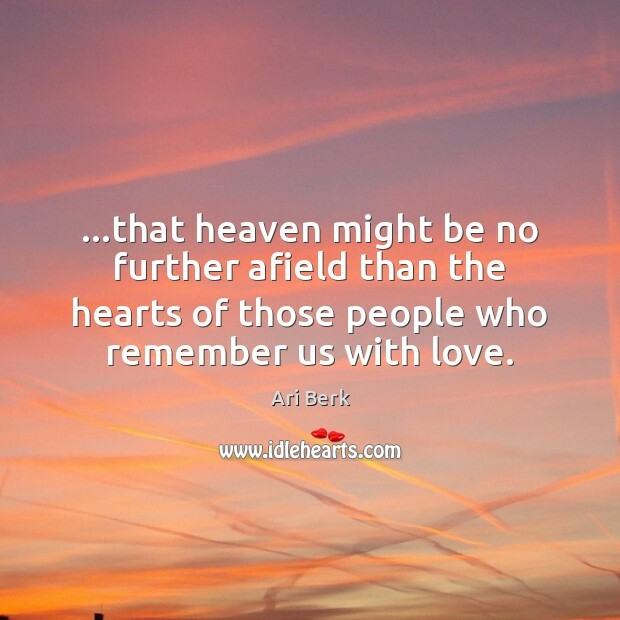 Enjoy the best inspirational, motivational, positive, funny and famous quotes by Ari Berk. Use words and picture quotations to push forward and inspire you keep going in life! 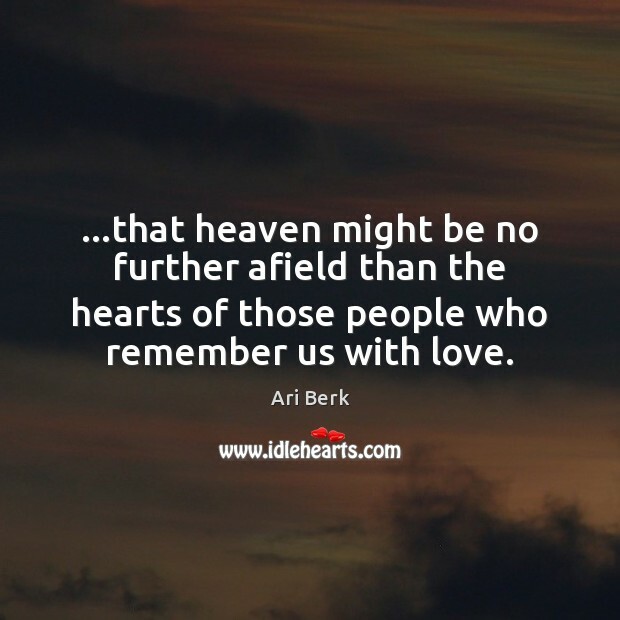 ...that heaven might be no further afield than the hearts of those people who remember us with love. 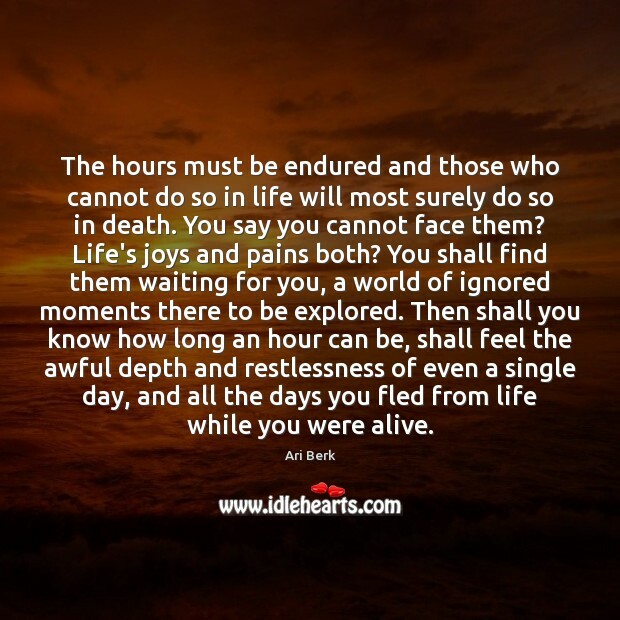 The hours must be endured and those who cannot do so in life will most surely do so in death. You say you cannot face them? Life's joys and pains both? You shall find them waiting for you, a world of ignored moments there to be explored. Then shall you know how long an hour can be, shall feel the awful depth and restlessness of even a single day, and all the days you fled from life while you were alive. 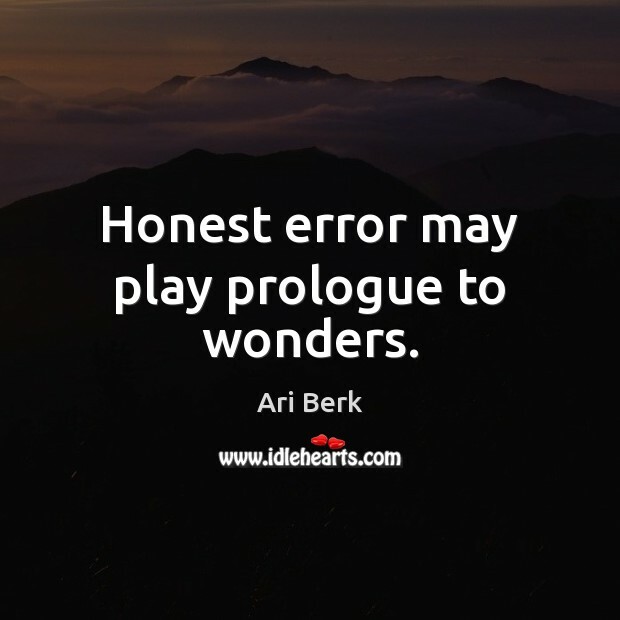 Honest error may play prologue to wonders. 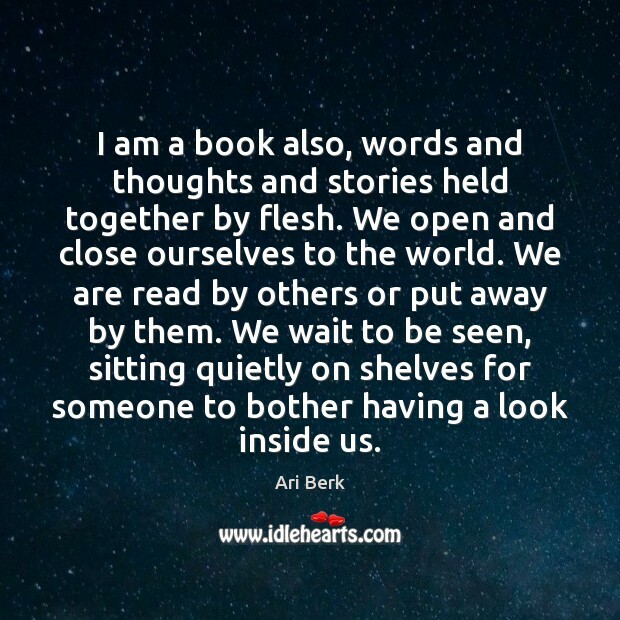 I am a book also, words and thoughts and stories held together by flesh. 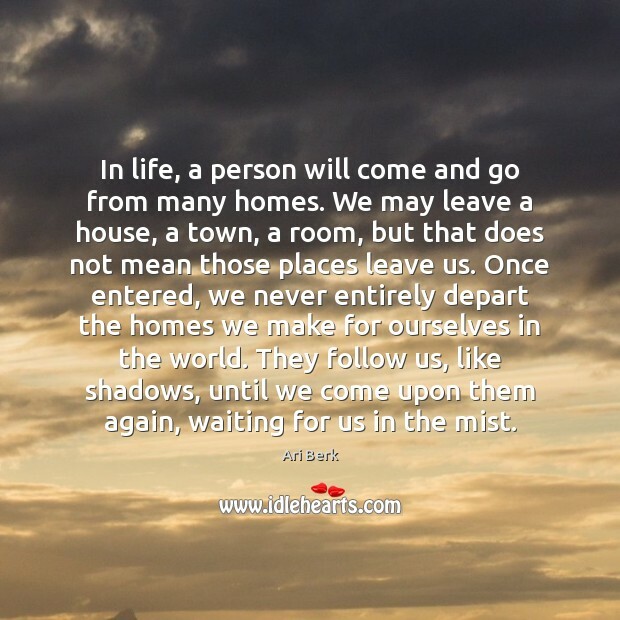 We open and close ourselves to the world. We are read by others or put away by them. We wait to be seen, sitting quietly on shelves for someone to bother having a look inside us.